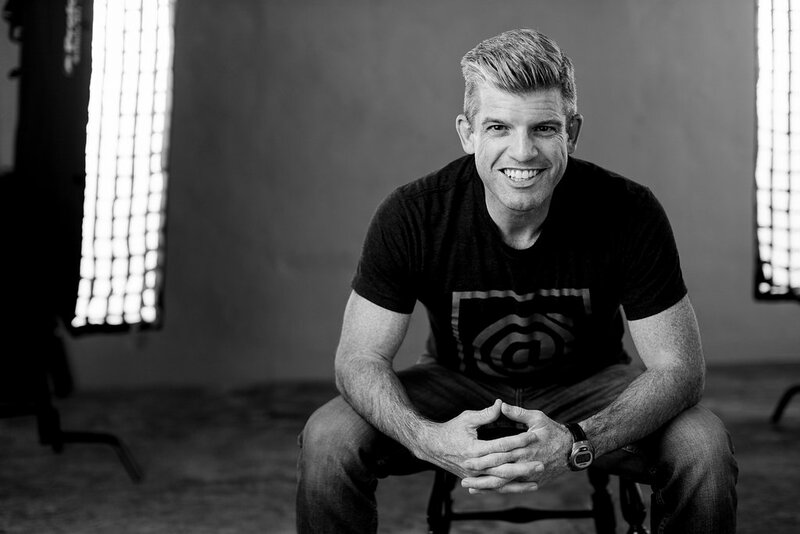 Check out Episode 247 of the Entrepreneurship Elevated Podcast with Mike Michalowicz. 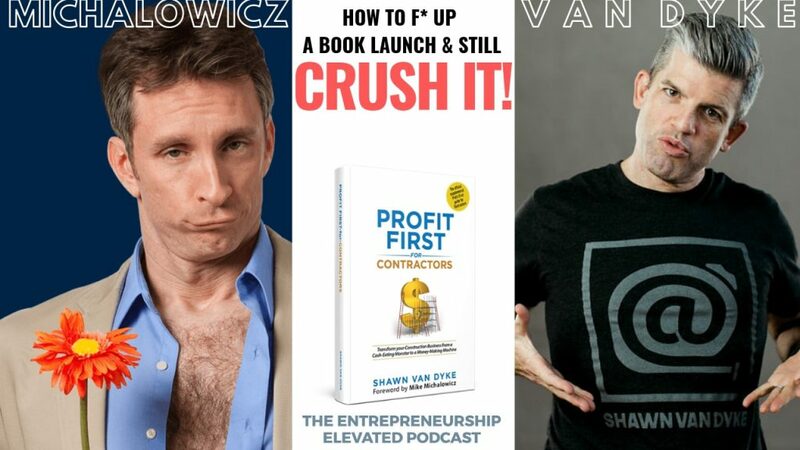 Mike and Shawn discuss the ins and outs of Profit First for Contractors, and how Shawn totally f’d up his book launch. This episode of the podcast may contain pornogrpahic images. Don’t worry. It’s safe for work. Do you want to make more money, streamline your construction business, and get your life back? If the answer is “YES,” then sign up for one of my coaching programs. Click here and fill out the application. My team will follow up with the next steps. 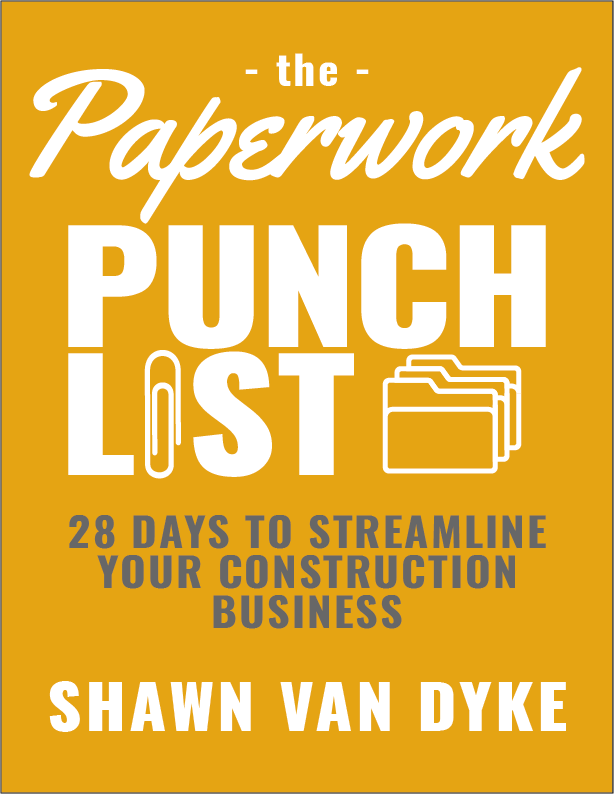 Click here to download my free book, The Paperwork Punch List: 28 Days to Streamline Your Construction Business. If you’ve got any questions shoot me an email. Remember to go buy my book, it’s on Amazon, it’s on Audible, it’s on Kindle, it’s everywhere, Profit First For Contractors. Shawn Van Dyke is a construction industry consultant, business coach, and mentor to skilled trade business owners. He is a Brand Ambassador for Fine Homebuilding, travels across the US as a keynote speaker, seminar presenter, and the author of Profit First for Contractors and The Paperwork Punch List: 28 Days to Streamline Your Construction Business.